improve your automatic content identification challenges? Media–centric businesses that need to rapidly and efficiently identify, control and monetize their content use ivitec's MediaSeeker Core Platform to integrate powerful content identification and tracking capabilities into their workflows. ivitec's unique and fully configurable video indexing and identification engine accommodates a wide variety of video content and use cases and offers users the flexibility to adjust the granularity of fingerprint extraction down to the frame level. 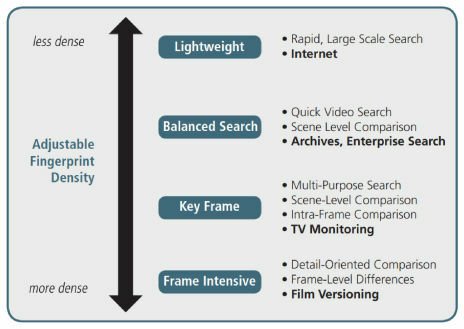 MediaSeeker Core Platform is an ideal solution for the full range of search applications, from light to frame-intensive, archive versioning, content future-proofing, media redundancy prevention (MRP), broadcast monitoring, and numerous other areas. At the heart of the ivitec MediaSeeker Core Platform is our fully owned video fingerprinting software technology developed at Germany's world-renowned Fraunhofer Organisation. Why not evaluate ivitec's MediaSeeker with state-of-the-art Adaptive Video Fingerprinting in your own environment? We are confident that it will demonstrate a level of performance, accuracy and flexibility that other solutions simply cannot match. The concept behind the MediaSeeker Core Platform is a simple one: just as one glove doesn’t comfortably fit every hand, one video fingerprinting technique won’t capture every use case or application. With ivitec's Adaptive Video Fingerprinting technology, customers are offered the ability to tweak the density and granularity of fingerprints. Moreover, the system is video format agnostic and is easily interfaced through a collection of standard APIs. This means that the MediaSeeker Core Platform is the industry’s only fully parameterizable system, able to meet the full range of content identification demands of a variety of complex mediacentric business processes, all of this without compromising the accuracy or efficiency of the system. On-Screen Content: Rapidly compare and differentiate multiple versions of related video content down to the frame level. Identify frame/scene transpositions, deletions, additions, or graphic overlays / changes in on-screen content. 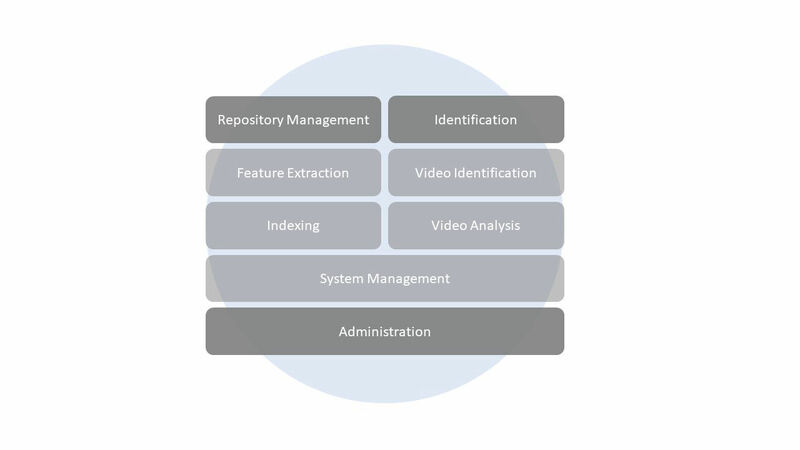 Metadata Maintenance and Retrieval: Store and retrieve metadata as content passes through the various stages of the media asset lifecycle. Media Redundancy Prevention (MRP): Eliminate duplicates and link related content, thereby reducing maintenance and storage expenses. DAM / MAM System Integration: Integrate with DAM / MAM systems to combine the above mentioned functionalities and enable content to be tracked and controlled along every step of the workflow. UGC Sites: Integrate into user-generated content sites in order to identify and ultimately monetize content. 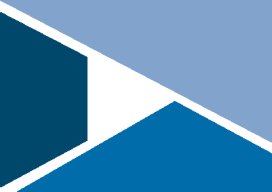 MediaSeeker gives access to its functionality via web service-based API. is used to import and index videos inside the core platform. Videos are decomposed into representative frames and an optimal set of image features is extracted from each frame to compose a fingerprint. The extracted fingerprint is stored in the finger-print repository and added to several inter-nal indices for further analysis. allows users to specify various search mode parameters for the video content to be tracked. The matching reports, together with difference detection results are sum-marized in the form of detection reports. allows users to configure and monitor the ivitec MediaSeeker services.